iGlitz delivers today’s leading ERP and CRM software solutions coupled with a comprehensive service package to give you maximum benefit from your investment. We strive to form a long-term, strategic partnership with our customers to help them realize their unique goals and gain a competitive advantage in the marketplace. If you are passionate about perfection, reinvention, and bespoke services, you are at the exact destination. Establishing a business means establishing and running end number of processes of the business within the business for consistent growth of the business. For any business, it is must to understand its customers, amplify the sales closing rate, and handle the customer relationship even after the sale for earning loyal customers and managing the huge list of tasks efficiently. This is where the dire need for CRM and ERP services comes in the picture as these help businesses in leveraging and managing their external and internal data base, reducing the overall operating costs and prompt profitability. The amount of responsibilities associated with implementation is very perplexing as it demands rich knowledge, farsightedness and managing abilities. Our experts possess all these skills clubbed with analyzing, planning, and reporting skills to ease the implementation and utilization of the applications. Our team of experts identify the challenges your service organization may face due to inappropriately configured technology. We assess, evaluate and diagnose system issues that may cause reduced performance and help maintaining your system to maximize the service optimization performance. Every large business has number of processes and various applications to connect those processes, hence, making it must to ensure the smooth and proper integration of all those applications. We possess an outstanding team of experts to assist you with integrating your different systems and different applications. When you own a system or an application, you owe to regular up-gradation of all these software and applications on regular basis in order to ensure the maximum and smooth performance. We at iRexx understand the importance of upgrades, so, offer the best effective solutions for regular upgrades. 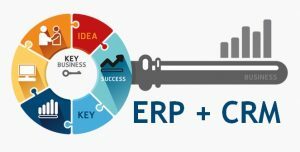 ERP is considered as one of the most critical business application and most of the businesses run it. So, the testing process turns must for any business. We at iRexx perform comprehensive ERP testing including functional testing, Performance testing and Technical testing to ensure the maximum productivity. Depending on the time duration, skill set and knowledge, the requirement of IT work-forces may vary from organization to organization. We at iGlitz understand such requirements very well and can offer the services of our IT employees for different kind of assignments as per the required job description..